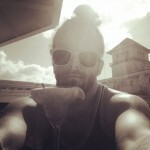 A flock of birds flew overhead as I sipped a piping hot cup of coffee from the comfort of a deck chair. 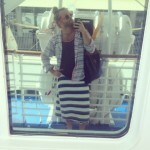 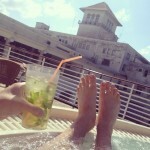 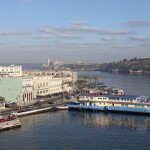 Shortly after 7am my Cuba Cruise arrived into the Port of Havana. 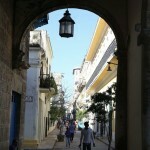 As the sun cast itself over Old Town I waved at a group of children in their uniforms heading to school. 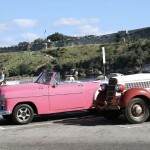 They skipped along the street as an endless stream of vintage American automobiles zoomed into the city. 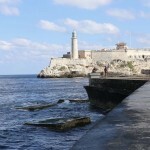 Havana’s success and riches were founded on the strength and position of its harbour – the largest natural port in the Caribbean. 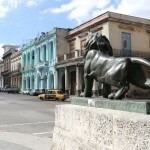 It was the discovery of a deep, navigable channel through the treacherous shallow waters between Cuba and the Bahamas that Havana really took off as a major city, becoming a bridge between Spain and the New World thanks to its strategic location on the newly established trade routes. 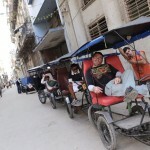 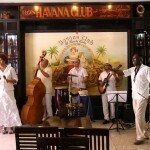 Today tourists explore Havana to tap into Cuba’s most cosmopolitan city. 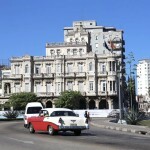 The Cuba we all dream of is most concentrated here. 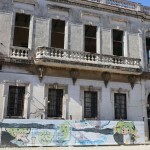 A mysterious urban romance filled with antique Cadillac’s, cigar smoke filled crumbling side streets, colourful colonial architecture, cute al fresco cafes, rum sloshed Mojito bars, communist graffiti and an always upbeat Caribbean anthem. 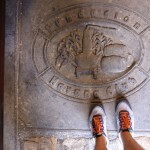 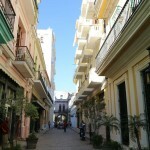 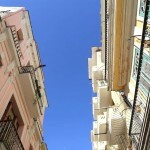 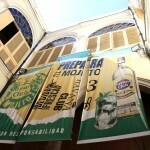 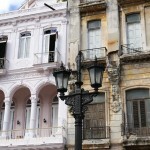 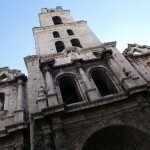 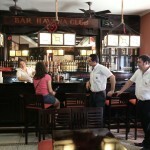 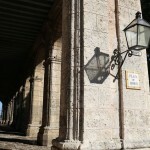 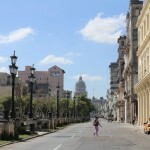 Habana Vieja is teaming with historic squares best explored on foot. 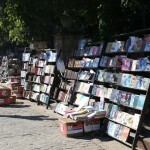 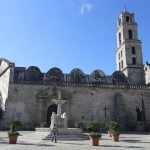 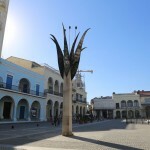 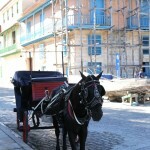 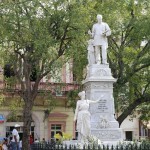 The oldest is Plaza de Armas where Havana established itself as a city in the second half of the sixteenth century. 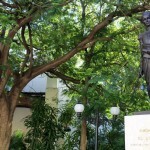 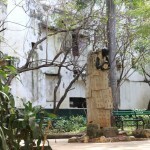 It still boasts distinguished colonial buildings and has been made famous for its secondhand book market which is enclosed by the square’s bushy central gardens. 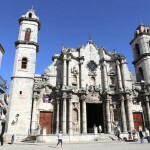 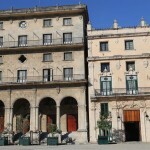 Plaza Catedral is perfectly restored and pleasantly compact, it’s enclosed on three sides by a set of symmetrical eighteenth-century aristocratic residences. 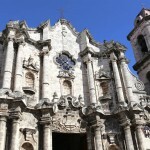 Be sure to pop into the Catedral de la Habana, a striking yet surprisingly small cathedral, hailed as the consummate example of Cuban Baroque style. 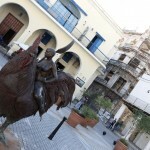 Plaza Vieja, more than any other principal old town square, reflects its original purpose as a focus for the local community, with some of the buildings around its colourful borders still home to local residents and others occupied by education and cultural institutions. 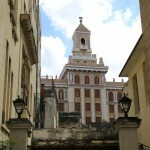 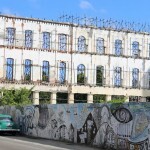 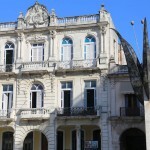 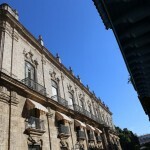 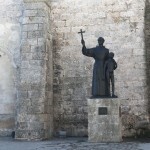 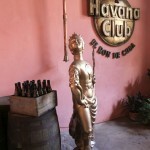 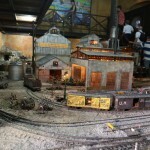 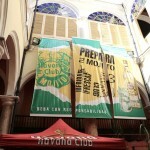 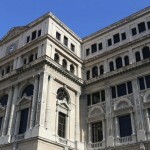 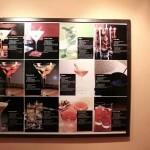 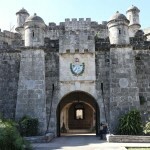 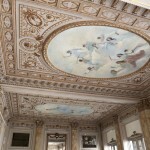 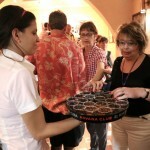 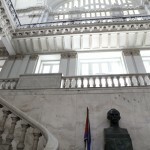 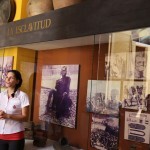 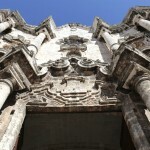 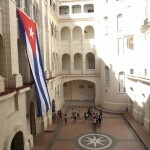 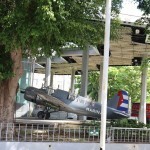 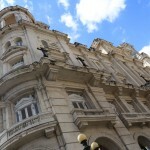 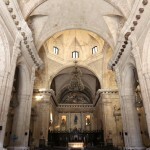 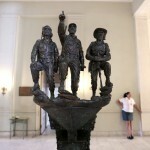 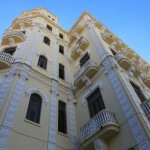 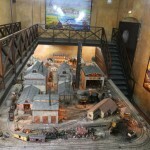 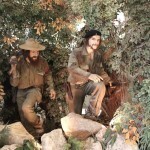 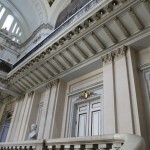 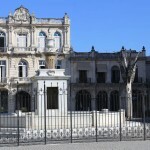 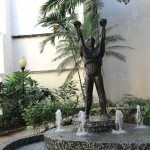 is Havana’s most famous museum. 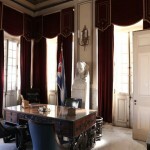 Housed in the sumptuous presidential palace of the 1950s dictator General Fulgencio Batista, it focuses on the events leading up to the triumph of the Revolution in 1959. 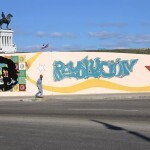 The Revolutionary War and the urban insurgency movements during the 1950s are surprisingly well documented photographically. 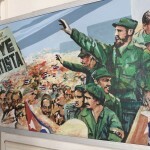 The walls and halls here are teaming with photos of Fidel Castro and Che Guevara, a perfect stop to appreciate Cuba’s heroic duo. 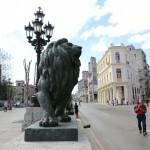 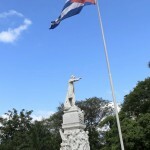 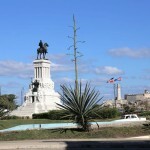 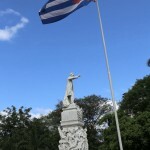 Parque Central sits at the halfway point of the Paseo del Prado, running along the border between Habana Vieja and Centro Habana. 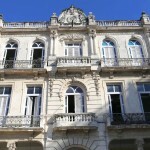 In the late nineteenth and early twentieth centuries this area saw many colonial buildings demolished and replaced with flamboyant palaces, imposing Neoclassical blocks and some of the finest hotels ever built in the city. 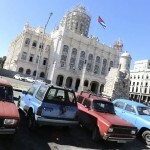 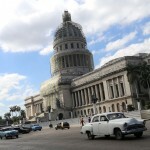 Mostly shrouded in shade, the square lies within a stones throw of one of Havana’s most unforgettable landmarks, the Capitolio Nacional which bears a striking resemblance to the Capital Building in Washington DC. 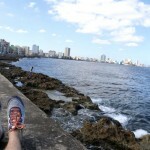 Walk towards the water along the bushy boulevard Paseo de Marti to arrive at Havana’s famous Malecon seafront promenade. 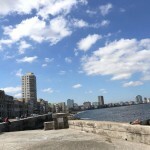 While strolling along the seawall you’ll no doubt run into locals who come here to relax by the waters edge by day, soaking in the best panoramic views the city has to offer. 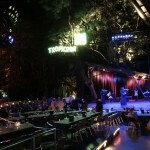 At night the boardwalk fills with locals who come here to listen to guitar-strumming musicians, snack on cones of fresh-roasted nuts and gaze up at the stars. 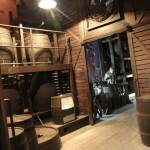 tracing the history and production methods behind this 400-year-old liquor, the lively tour offers one of the city’s few modern museum experiences, with slick presentation and interactive exhibits. 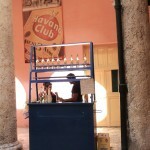 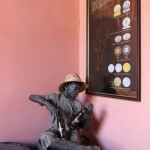 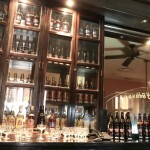 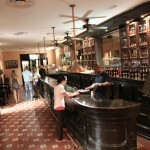 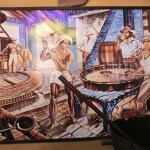 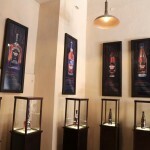 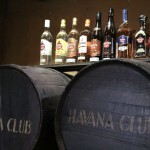 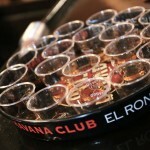 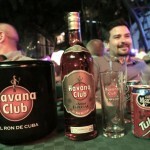 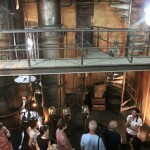 The tour is designed to follow the rum-making process in sequential order, charting the transformation of sugar cane into Cuba’s national drink. 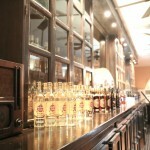 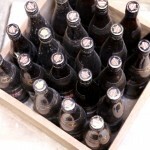 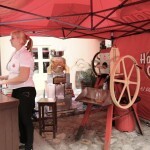 The tour finishes at a fully functioning replica of a 1930s bar, where you’re given a sip of the brew itself. 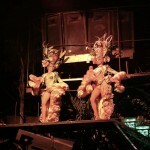 Not for nothing were the female dancers of the Tropicana described in their heyday as Las Diosas de Carne (goddesses of the flesh). 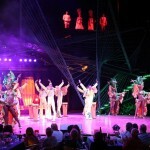 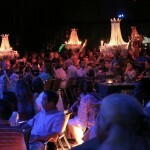 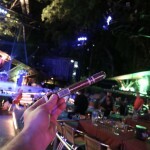 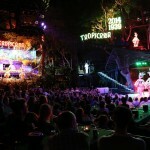 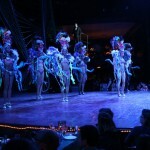 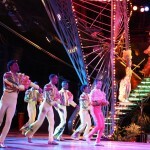 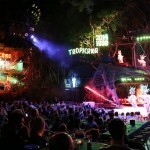 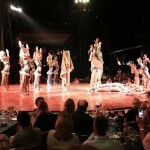 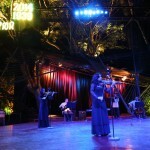 Cuba’s most famous cabaret is designed similarly to the extravaganzas of Las Vegas and the famous Lido in Paris back in the 1950s where every night more than 200 dancers and singers appear on an open air stage, accompanied by a live orchestra. 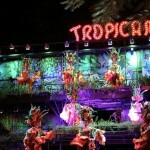 Intricately painted showgirls clad in feathers, sequins and elaborate headdresses command the stage while tipsy tourists sip on Havana Club and nibble on bowls of roasted nuts under the stars.